Courtesy of Marjorie S Halem, Compass. Perfect for the entertainer!!! Sophisticated corner 2 bedroom, 2.5 bathroom, and den with expansive wrap around terrace (11~x 68~) with lovely views. Features include a gracious entrance foyer, living & dining room with hardwood floors & access to terrace, sun-filled state of the art kitchen with breakfast/family room, center island, extensive closet space with built-ins, separate laundry room, and walk-in storage. 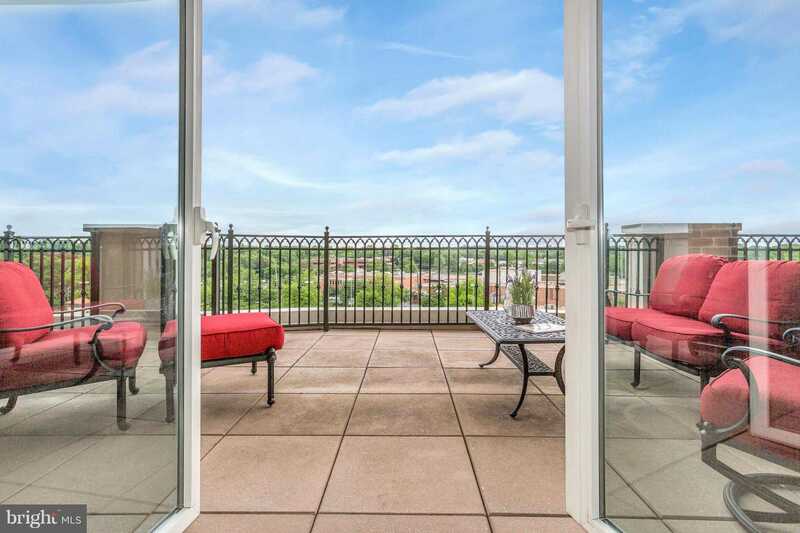 Unparalleled value in sought after ParkPotomac which offers concierge, clubroom, community pool, fitness center, easy access to shopping, dining, and transportation to Metro. Please, send me more information on this property: MLS# MDMC101744 – $1,395,000 – 12500 Park Potomac Avenue Unit 905n, Potomac, MD 20854. I would like to schedule a showing appointment for this property: MLS# MDMC101744 – $1,395,000 – 12500 Park Potomac Avenue Unit 905n, Potomac, MD 20854.